HERE ARE THE PROMOTIONAL DESIGNS! Click to download, add date/time/location, and print copies! Click the images below to also download the City Brochure & Event Host Checklist! 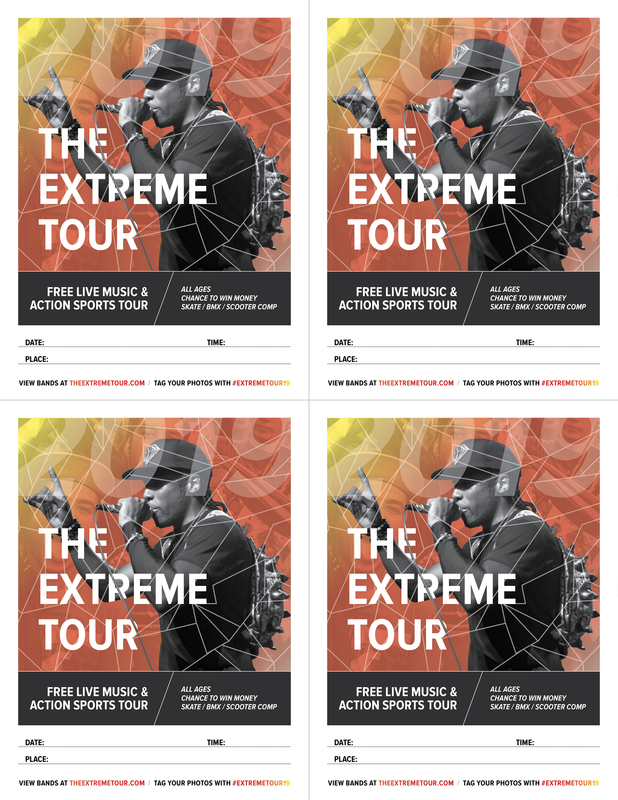 You are now ready to host The Extreme Tour in your city.